Roughly 1,957 years ago, a man sent a letter to a group of people he had not met in a city he had never visited. The man’s name was Paul, the city’s Rome, and the letter would become, perhaps, the greatest letter ever written by a human hand. Apart from its revered place in the Christian canon, its words were instrumental in the conversion of men such as Augustine of Hippo, Martin Luther, and John Wesley, whose lives have so powerfully shaped the world. 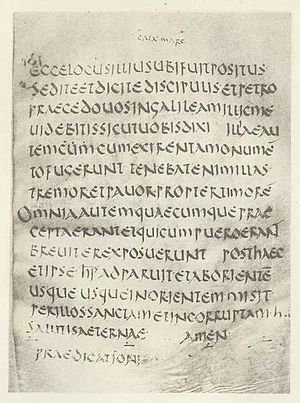 It has been called “the most profound work in existence.” Calvin wrote that the person who understands this letter has “an entrance…to all the most hidden treasures of Scripture.” Luther said it was the “chief part of the New Testament,” “the very purest Gospel,” and that it could never be read or pondered too much. It holds truths so deep and weighty that scholars will be wrestling with them until the Lord Jesus returns, and yet it offers nuggets so simple that by them a child might learn to trust and love Him. Not so many years ago, I took up this letter and began to read. I wanted to know what God had said through this man to this people so that I could learn what God would say to me and to His church. To this end, in my heart and in my mind, I went to Rome. And when in Rome, I tried to do as the Romans. If possible, I would have become a Roman, for what I learned there was simply life-changing. When in Rome, I saw many things. I grasped concepts I had never been able to understand, learned truths I never imagined existed, and discovered ideas that I shall grapple with for years. Above all, I saw glory, and I found love. I was given grace and had my faith strengthened. I was awed, humbled, convicted, stirred, renewed, and set free. How could one letter do so much? Of course, as Scripture, it is the Word of God, and God’s grace flows through it. But of all the things that God has revealed, one word sums up both the message and the power of this letter: Gospel. Simply put, this letter in all of its phrases, paragraphs, arguments, and appeals is Good News. Not everyone will accept its words, but it will leave the believing reader blessed for having read it. And that reader will keep returning for even more of the same. What a blessing to be a Roman in AD 56, when that man Paul sent this Gospel to Rome! When in Rome, I learned why he did it. He had several reasons, in fact. As I learned, almost no one in Rome had ever heard of Paul, and even amongst those who shared his Christian faith and knew of him, most had not met him personally. They only knew of his reputation, and, as we all know, sometimes that can be inaccurate. It was inaccurate because Paul was a leader in the vanguard of the Christian faith as it made its way across the Roman Empire. However, Christianity was always bigger and moved faster than any one man. Its Founder had designed it to multiply faster than the eye could follow and had sent his followers throughout the world in all directions. Christianity had reached Rome before Paul did. And so had its enemies. Jesus Christ had his detractors, and he told his followers to expect nothing less. Paul was no exception. Once a proud Christ-hater, who thrashed the church with pleasure, he had been violently converted by Christ himself and called to declare the saving grace of God in the face of a human-exalting religion. To his enemies, Paul represented the heretic, the traitor, and the revolutionary all rolled into one, and they were quick to twist his message and discredit his ministry before he could even open his mouth. It had happened before, and it would happen again. He used this letter to tell the Roman Christians who he was, what he was about, and what he taught, before he arrived, and perhaps even before his enemies had a chance to contradict him. In short, he wanted to show them that he preached the same Gospel he knew they already believed. (Exactly when this happened is a bit of a mystery, but it had to have been sometime in the past 25 years or so, possibly carried to Rome from Jerusalem by one of the pilgrims who had turned to Christ on the day of Pentecost.) And, as the foremost scholar of his generation, if he could expound upon the Gospel of Christ and show them more spiritual riches than they had ever imagined, he would gladly do that too. I soon found out that Paul never intended to stay long in Rome. If this letter could win their confidence before he ever arrived, he could more quickly move on to his real reason for coming. True, he had wanted to visit Rome for a long time, and as he introduced himself and his message, he expressed his love and admiration for the Roman Christians. He really did want to spend some time with them! But at the end of the letter he disclosed another motive – he needed their help to get to Spain. Paul was a pioneer, and Spain was the frontier – for Christians, anyway. Ever since the Holy Spirit commissioned him as an emissary of the Gospel, he had worked and prayed and dreamed of new places and new peoples where the light of Christ had yet to dawn. Of course, he realized that he couldn’t shine the light for every single person in the Roman Empire, but he knew that if he could build a big enough fire, others could light their torches and spread out. And so, he started churches in cities, worked to train leaders, and then watched as they reached out to surrounding villages and even entire regions. As he worked his way westward from Jerusalem, he passed through Asia Minor, Macedonia, and into Greece before stopping. The next major region was Italy, and there was already a church in Rome. Beyond Italy lay Spain. In Rome, I found the last Christian outpost on the western frontier. Paul planned to use this church as a base for his forays into the unreached Hispanic lands. He had come too far to rely on the first church in Jerusalem or even his home church in Antioch. He needed someone closer to support him, to send workers and supplies, to receive his letters and pass along his updates, to pray with and for him and for the work. Rome would have to be that church. And it would have to be strong. Even now, the missionaries I know rely on established churches for their support. However, that support reveals the fragile nature of churches, as well as the cautious trust missionaries place in them. Most missionaries rely on dozens of churches or a network of even more churches to support them. One reason for this is the potential fallout should one of those churches fail in their ability to support the missionary. In a large network, the effects are scarcely felt, but if a single church were the missionary’s sole supporter, it would mean the end of the mission, perhaps even stranding the missionary in a dangerous situation. Economic shifts, church splits, and even natural disasters can cripple a church’s ability to support further work. It is for this reason that a church’s maturity is often measured by its missions involvement. A church must be on firm footing itself before it is truly able to help others. And Paul needed a stable, reliable church before he launched out into Spain. And for stability he gave them the Gospel. Paul gave the Romans the fullest and most detailed explanation of the Gospel of Jesus Christ found anywhere in the Christian Scriptures. He did it because it’s what he needed, it’s what the Romans needed, and it’s what the Spanish needed. If Spain was to hear of Christ through Paul, he needed Rome backing him up. For Rome to stand strong and support the global witness of Christ for the glory of God, they needed to stand on the Gospel. And they needed it more badly than they realized because even from across the Adriatic Sea, Paul could see fault lines emerging that would tear the Roman church in two if not sealed immediately. I live in rural Alabama, where racism is alive and well. In most cases, it flows silently beneath the surface of polite conversation, but when it gets too comfortable, it releases a flatulent cloud that lets the entire room know of its presence. Unfortunately, its odor is often so familiar that few find it really offensive. When I was in Rome, I discovered that this was nothing new. As I asked about their history, I discovered that the church had, indeed, begun among Jewish Christians. This wasn’t a major revelation because, especially in the early years, Jewish Christians were a strong majority in all churches. Only when Peter dined with Cornelius did the church discover that non-Jews (Gentiles) could become Christians. It took the Antioch experience for the rest of the Christian world to discover just how well Gentiles could participate in the life of the church. Rome was no different; having begun among Jewish Christians, the church added Jewish and Gentile converts alike as the Gospel spread. No doubt, the Jewish believers would have formed an early majority in the church and provided leadership and guidance in the church’s more formative years. However, the great distance of Rome from Jerusalem meant that this church was rather isolated from some of the discussions about how Jews and Gentiles Christians might follow Christ together, though it would also have been isolated from the vicious attacks of disaffected Jews who sought to pervert the new Christian doctrines of grace. So, the simple Gospel was probably preserved while the forms and traditions and practices took on a distinctly Jewish flavor. And as the Christian faith originated in Jerusalem and looked to the Jewish Scriptures, I assume no one questioned this state of affairs. Until Caesar spoke. It may have been the church’s fault, or at least the Jews’ who rejected the church, because the name of Christ was being linked with a bit of an uproar in the Jewish areas of Rome. Emperor Claudius, not knowing the difference between a Jew and a Christian (any more than the average American knows the difference between a Sunni and Shiite Muslim), assumed it was a Jewish problem and swiftly exiled all Jews from the city of Rome. Overnight a church planted and led by Jews became almost 100% Gentile. When I was in Rome, things had settled down only a little. The civil disturbances had ceased, but the Jews that had been allowed to return found their church very different from when they had left. In their absence, the church had grown and had found new leadership. All of a sudden, the Jews were in the minority, and their influence had been marginalized. They found the church that they had started and served now using different music, wearing different clothes, meeting at different times, celebrating different holidays, observing different traditions, and even eating and drinking different things. They were offended by what they considered to be pagan, Gentile influences, and they tried to reassert their convictions and preferences back into the life of the church. The Gentiles, for their part, wondered how the Gospel was affected if they had to be constrained by Jewish tradition. Gentiles and Jews began opposing one another, and the Gospel was lost somewhere in between. Very quickly, Grace was being replaced by Race. That’s about when this letter arrived. During the Jewish exile, some of the early church members, Priscilla and Aquila, had met with Paul in Corinth. He was still there, but they had returned. Apparently, they had since told him what was going on. No doubt, he realized that if the Roman church was to serve as his outpost for the pioneer mission to Spain, they had to be able to stand firm, together for the Gospel. Grace must triumph over Race, and there was no better way to do it than by starting at the very beginning and showing how the Gospel joined them together as sinners and saints and – Paul hoped – as senders of the grace of God to the unreached peoples of the world for the glory of God. When in Rome, I read a letter, the letter to the Romans, that told me of the magnificent grace of God and laid out the marvelous teachings of the Gospel of Jesus Christ. I saw in that letter a commitment to the testimony of Christ in his church through racial equality and missionary outreach. But more than anything else, I read of how the Gospel transforms God’s people into the likeness of his Son, by grace alone and through faith alone for the glory of God alone. What about you? Tell me about your visits to Rome. Has the Epistle to the Romans had a major impact on your faith and worship? What did you see? Also, don’t forget to register for the upcoming Men of the South Men’s Conference! This entry was posted in When In Rome and tagged Bible Exposition, Christianity, church, Church Letters, Equality, Gospel, Missions, Paul, Racism, Romans, Romans 1, Rome, when in rome. Bookmark the permalink. Thanks, Josh. Glad to hear it! Maybe some day I’ll get to write the rest of it.